The Israeli minister of public security and the Israeli general prosecution agreed on Monday to return seven detained bodies of Palestinians to their families. The deadline for their release has not been confirmed as yet. Lawyer, Muhammad Mahmoud, submitted a petition to an Israeli court asking for the return of bodies of Palestinians who were killed while allegedly committing or attempting to commit attacks. Mahmoud told prisoners’ rights group Addameer that the Israeli minister of public security agreed to return the bodies included in the petition to their families in accordance with the terms set by Israeli police. The terms include, among others, that a limited number of people join the funeral, families deposit an amount of money to guarantee that they will adhere with police stipulations, and that the burial must be at night and immediately after the family receives the body. Six of the Palestinians were from occupied East Jerusalem and the seventh, Abd al-Hamid Abu Srour, was from Aida refugee camp in Bethlehem in the southern occupied West Bank. Mahmoud highlighted the Israeli authorities’ recent decision that Israeli police have the right to determine which cemetery the body will be buried in, and where the funeral will take place. 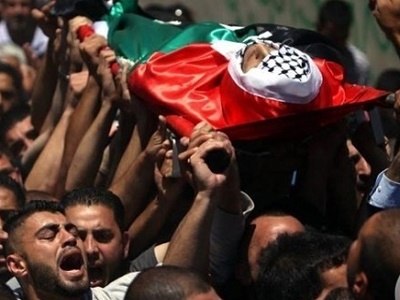 Israeli police claimed that the new term was added to enable police to contain alleged “incitement” at Palestinian funerals held for alleged attackers. Newly-appointed Israeli Defense Minister, Avigdor Lieberman, issued an order on June 9 to suspend the return of all Palestinian bodies killed during suspected attacks in response to a shooting in Tel Aviv on June 8. 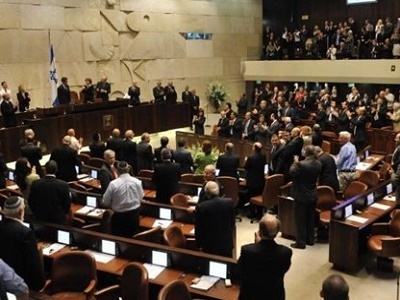 However, Lieberman claimed that halting the return of the bodies could prevent future attacks against Israelis. Lieberman’s decision came a day after Israeli police announced that slain Palestinians from occupied East Jerusalem suspected of “terrorism” would no longer be able to have funerals in their neighborhoods or villages, but would instead be buried in cemeteries chosen by the Israeli police. Israeli authorities continue to hold at least a dozen Palestinian bodies in refrigerated conditions in Israel.